There’s about to be a strong buzz in Eau Claire in August, and we’re not talking about urban bees. The U.S. Open Chainsaw Sculpture Championship will be held Aug. 6-9 at the Paul Bunyan Logging Camp Museum in Carson Park. This unique competition – which raises money for the museum – brings together chainsaw carvers from such far-flung places as Iowa, Pennsylvania, and Japan. 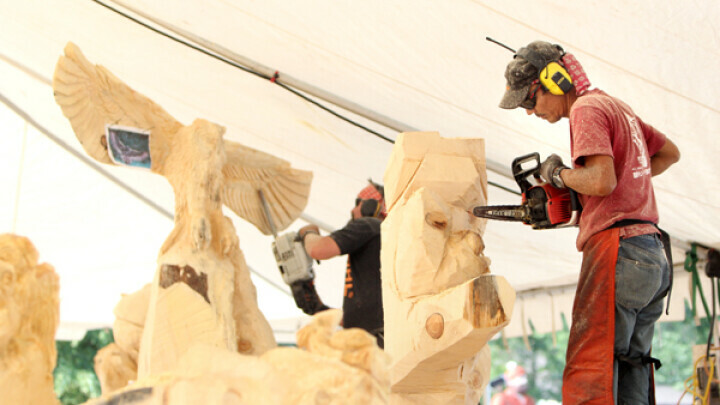 These carvers take standard eight-foot logs and turn them into stunning sculptures during the four-day competition. 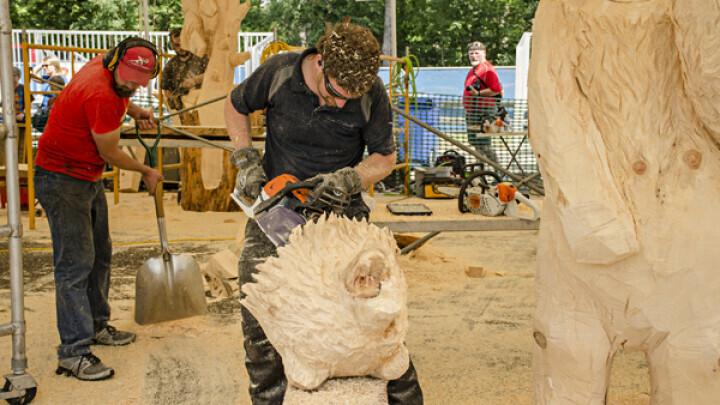 Their work will judged by a professional panel using international chainsaw competition standards. In addition to the main contest there will be quick carving competitions (which we imagine mothers throughout the world must cringe when they watch). Throughout the weekend there are family friendly activities and events, including apple carving, inflatables, music, and a display by Charlie Schaaf and Model Train Classic. Best of all, all kids under 17 are free! Each day’s event culminates in an auction of carvings from that day’s competition. 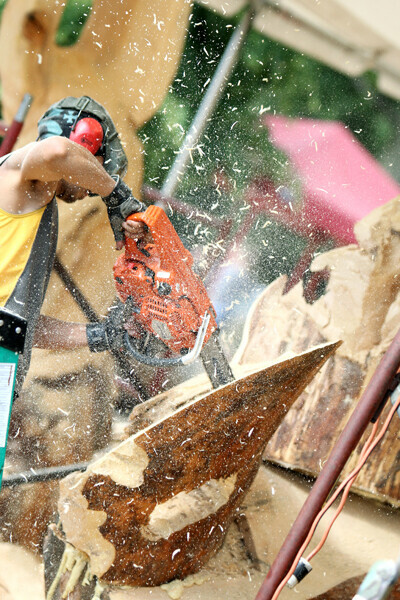 The US Open Chainsaw Sculpture Championship took place August 8-11 at Carson Park. Photos are from Thursday, August 8. 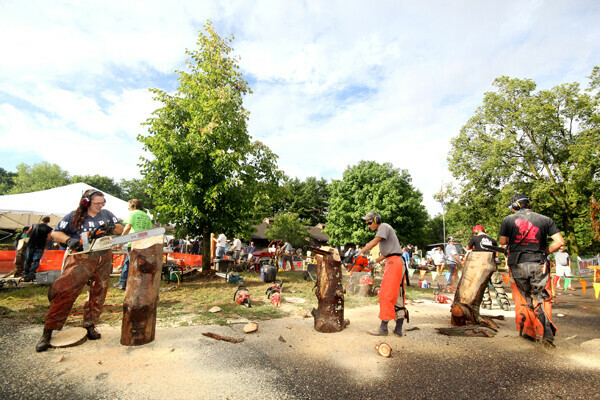 Top chainsaw artists from around the world competed for prizes as they turned simple logs into stunning works of art August 7–10 at Carson Park. Photos are from Thursday, August 7.